February has always been a fun month for me. Its days are easily divided into four periods making it a period of weekly attractions: Week One is the Punahou Carnival; Week Two is Valentine’s Day; Week Three is President’s Day (Washington’s Birthday was celebrated on the 21st when we were at Punahou .. a day I recall was Ann Hughes’ birthday); and Week Four is my birthday!! What more could a child want in a month? Gaye Miuasaki helped us celebrate our 6oth birthdays at January’s Lanakila Day of Service. How are you celebrating yours? 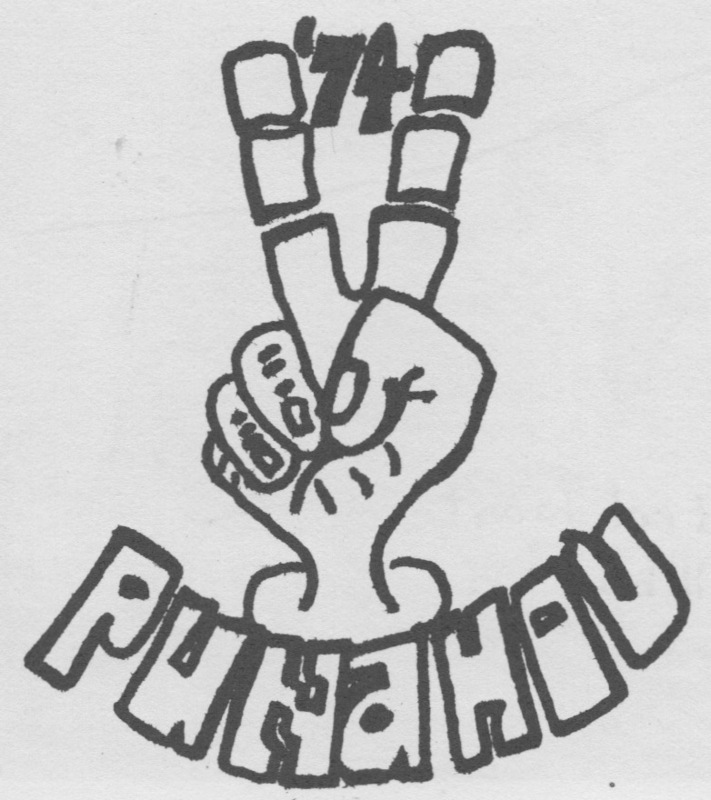 Speaking of birthdays, February 2016 may mark what would be the birthday midpoint for Punahou74. But it’s hard to be sure. While most of us are born in 1956, Punahou admits its boys months older than its girls. Then there are the classmates who are one year older (think 13+ club members) and those prodigies who accelerated into our class. So who really knows. I’ll just use February for my estimate of our average birthday. One thing I know for sure is that, even if you may not have yet celebrated it, if you’re a member of Punahou74 then your 60th birthday is scheduled in your near future. Thinking about our birthdays I reviewed the 1955-1957 class notes in the Punahou Bulletins. The notes took no more than ten pages in those days and the rare pictures were far from full pagers. With classes averaging 150-200 graduates there just weren’t as many alumni to cover. Reviewing the news of the day was consequently quick work. A familiar sequence regularly reported in the class notes. As one might expect the items covered a predictable range of topics. For the older classes there were notes regarding retirements, travel, and recent deaths. For the youngest, the coverage detailed college graduations, military exploits, and budding careers. For those in the middle years the news that took up the greatest amount of ink included a surfeit of engagements, the consequent marriages and, ultimately, the children of those unions. And guess whose names were sprinkled in those 1955-1957 birth announcements? You know that, if you were born in 1956, you are a baby boomer. What you may not know is that, if you were born in 1956, you were one of 4,218,000 babies (25.2/1,000 population) born that year. The next year would see 4,308,000 babies born (25.3/1,000 population) and mark 1957 as the highest birth year for both the Baby Boom and United States history. Births would not drop below four million until 1965, the end of the Boom. By this time 36% of the United States population would be under the age of 18. To understand the impact of these Boom births consider this: it would not be until 1989 (when Punahou74 was 32-34 years old–prime “baby” years incidentally) that four million United States births were again recorded (16.2/1,000 population). The impact of the Baby Boomers upon Punahou School would be enormous. One of the many alumni family photos featured in the January 1959 Punahou Bulletin shows a Punahou45 mother with her Punahou74 son. He started with us in kindergarten but left after 4th grade to join and later graduate with Punahou75. Do you know who he is? In 1956 campus enrollment was limited to 2,840. Alumni children were approximately 30% of this number. For more than one hundred years the admission of missionary and alumni children had been easy to accommodate. But, to paraphrase Bob Dylan, the times they were a-changin’. Not only were recent alumni the parents of an extraordinary number of children but Oahu would itself be home to 41.8% more residents by the end of the decade. Add to this the phasing out of the English Standard Schools, growing suburbanization, and the lack of alternative college preparatory schools and the stage was set for tremendous admissions pressure at Punahou. Mrs. Bond lasted but one year in the politically sensitive position. Despite campus enrollment growth to 2,970 admissions pressures remained immense. By May 1960, the office would process 1,200 applicants for the school’s 362 K-12 openings. Punahou74 would face its first admissions test that fall. More than ever before, our alumni parents want their children to begin their education with enrollment in the Punahou kindergarten. In fact, 60 of the 70 places for next year’s kindergarten class [this was Punahou74] went to high-priority alumni children. The same situation pertains in grades 1, 2, and 3, where only 100 pupils are enrolled at each level. Given this outcome it is not surprising that my perusal of the 1955-1957 Punahou Bulletin birth announcements revealed a number of nascent Punahou74 names … especially the members of the 13 year club. Yes many, but not all … including yours truly.